Here at Savivo we’re happy to talk about our next educational program. We call it Mingoville Storytelling, and it will be released very soon. Mingoville Storytelling will use stories as the vehicle for learning. 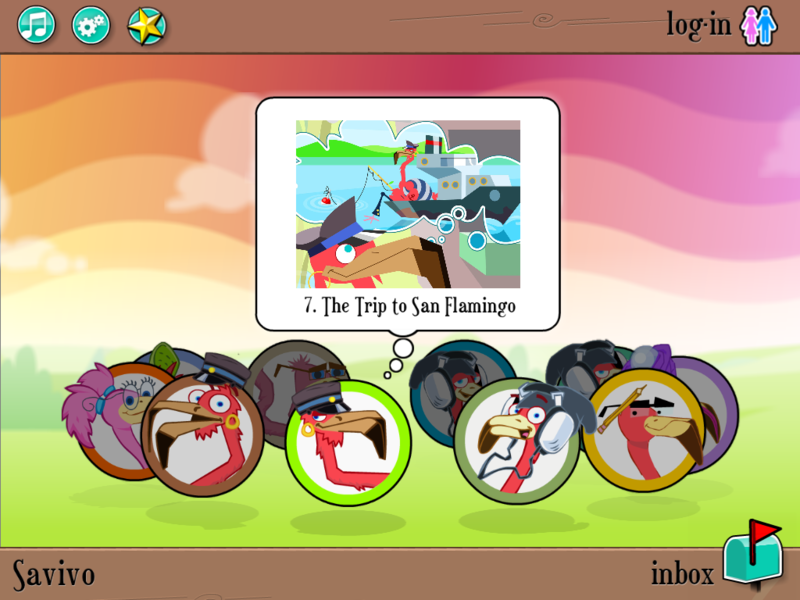 In the app, children will hear stories set in the Mingoville universe, retell them and even compose their own stories. Retelling as an educational concept is not a new language-learning concept, but we’ve combined it with beautiful pictures, professional voice acting and the ability to write and record customized stories. The app contains 10 stories for the children to listen to. After having heard a story, the child is asked to tell the story again, using the pictures as help. This will encourage children to analyze the told story, combine the important story events with the descriptive pictures, and then use those elements to retell the story as accurately as possible. This will train children’s memory, vocabulary and encourage better reading comprehension and writing. The last component of the app is the option to tell stories. The children can use any of the unlocked pictures, 160 in total, to tell stories of their own devising. When a picture has been picked, the children can write an accompanying story. If they want to, they can also record their own narration. When they are finished telling a story, and trust us, it won’t be their only one, they can share it with friends and family in different ways. They can send a mail through the app or they can generate a Book Code, a combination of six letters, which gives access to the story. These codes can be shared easily through email, texts, Facebook or just handwritten notes, and we hope to see many interesting stories both made and shared using Mingoville Storytelling. 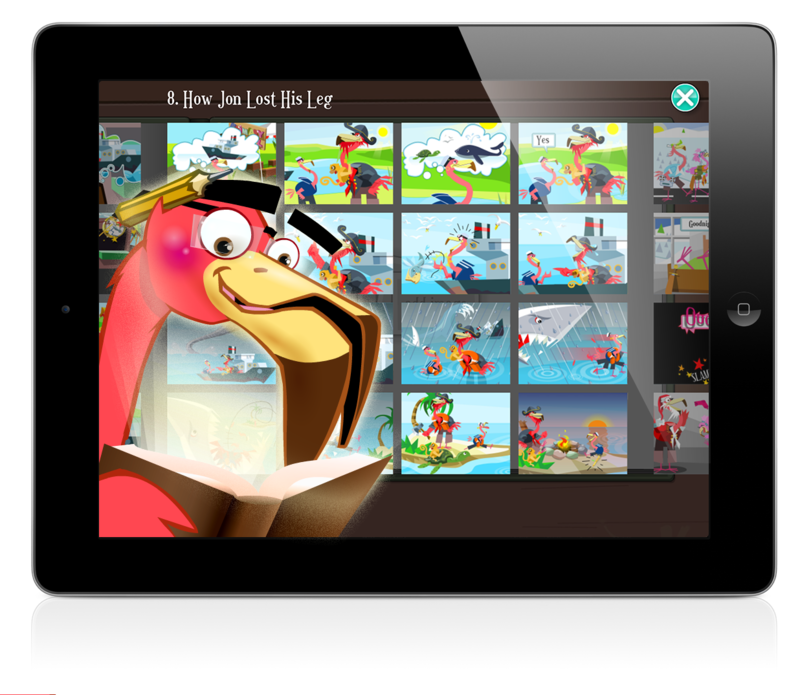 We’re sure that children trying this app will improve their English by retelling and making their own stories. We can’t wait to see what kind of stories will be made, when Mingoville Storytelling is released. We’ll let you know when it’s ready!